SOUTHFIELD, Michigan -- Chrysler plans to repay U.S. and Canadian government loans on May 24, clearing the way for Fiat S.p.A. to increase its ownership in the U.S. automaker by 16 percent, two people familiar with the plans said. Chrysler is marketing as much as $7.5 billion of debt to repay the U.S. Treasury and Canadian governments for money loaned as part of its 2009 bankruptcy restructuring. The automaker said last month it would repay the loans, allowing Fiat to exercise an option to increase its stake to 46 percent from 30 percent. The new debt is expected to price Friday, and three business days are planned to complete details before the money changes hands, said one of the people, who asked not to be identified because the plans are private. Eileen Wunderlich, a Chrysler spokeswoman, declined to comment. Chrysler is seeking a $2.5 billion term loan, a $3.5 billion bond offering and a $1.5 billion line of credit, people with knowledge of the plans have said. Fiat, based in Turin, Italy, will start negotiations with banks to expand its credit line to as much as 1.5 billion euros ($2.14 billion) after raising its stake in Chrysler, three people familiar with the process have said. 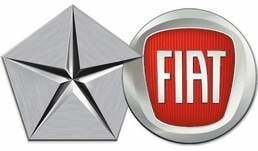 Fiat has said it will pay $1.27 billion to acquire the additional 16 percent in Chrysler. Sergio Marchionne, CEO of both automakers, has said he wants to increase Fiat's ownership in Chrysler to 51 percent this year as he prepares to take the U.S. company public.